Hello! 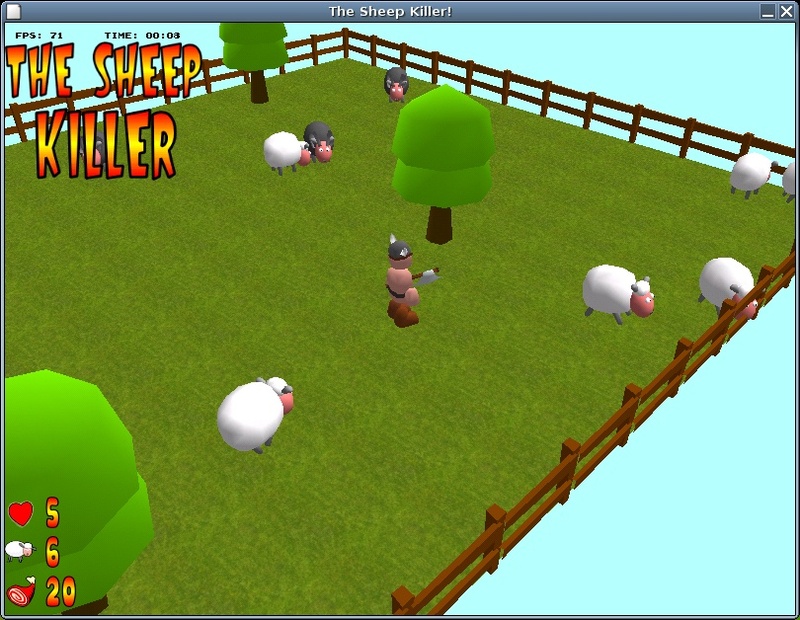 This site is about The Sheep Killer, a cross-platform 3d game where you control a Viking and must kill sheeps! 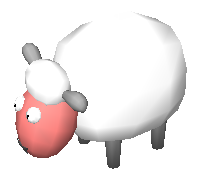 Each sheep gives you five points. 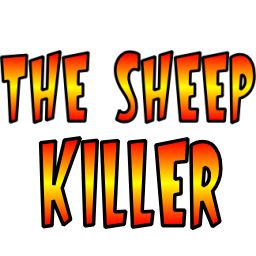 While killing sheep you must watch out from rams! They'll try to bite you, making you loose a life. You can also kill rams if you can, they give 10 points! You can download the game here! It contains sources and executables for Windows and Linux. It should compile also on BSD, Mac and all platform supported by JEDI-SDL and Freepascal. You can run it fullscreen with -fs option. 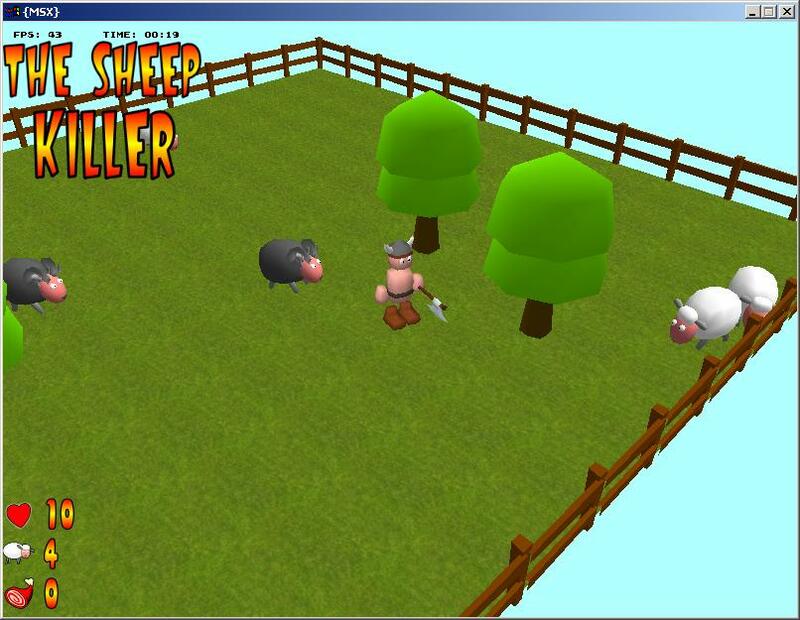 Development of the game took about one month, with lots of base code already available. It was developed mostly on Debian Linux. - Edit compila.bat or compila.sh (in /src directory) to adjust your path. 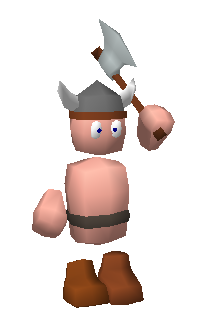 The game is released under the GNU Public License. Please, don't hurt animals in real life!